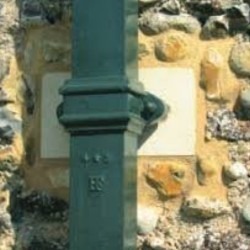 The Square version of our Cast Iron Downpipes gives a classic feel to the building it is installed on, whilst keeping up with the high standards of modern guttering. 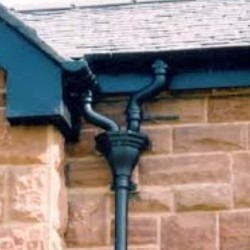 In contrast to most PVC downpipe systems, cast iron rainwater pipe and its assorted fittings is vastly more ornamental. 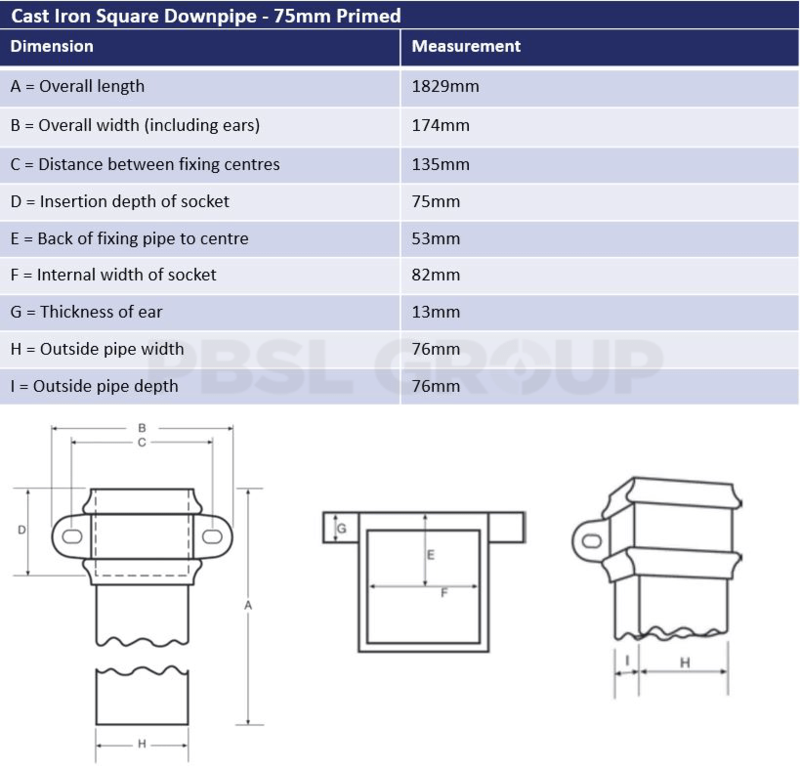 With conventional eared sockets, a broad variety of bends and a plentiful range of decorative hopper heads, our cast iron pipes can make any property stylish. Our cast iron systems are provided by Hargreaves, a long-established foundry located in Halifax, Yorkshire. 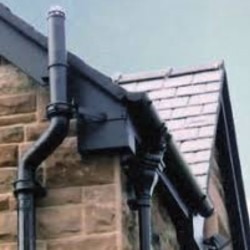 They have been casting iron goods since the 1880’s, and furthermore are the number one supplier of Cast Iron gutters in the UK market. With all of their years of casting experience, we also offer the option of custom manufacturing if needed for more wide-scale projects - for more details, please contact us.